Kenneth Clifton “K.C.” Moore, 78, Nevada, MO passed away on Saturday, January 19, 2019 at his home in Nevada. He was born August 15, 1940 on a farm three miles southwest of El Dorado Springs, MO to William W. and Murial B. (Johnson) Moore. K.C. started school at the age of 5 at Union Hall, a one room school with all eight grades. He graduated from El Dorado Springs High School in 1957 at the age of 16. K.C. attended School of the Ozarks from 1957 – 1958 at which time he joined the United States Army serving until 1962. His army travels took him to Fort Wayne in Detroit, Camp McCoy in Wisconsin, and two years in Hawaii. K.C. returned to Nevada in 1962 and met the love of his life, Linda Hawkins (although he wasn’t sure which twin she was). The couple was married on June 30, 1963. After working at Richardson Motor Company he began a career with Farm and Home Savings in 1968. In 1971 the Moore’s moved to Marshall, MO where he became the youngest branch manager in the Savings and Loan. He served the banking industry for 40 years, working for Boatman’s Bank, Missouri Bankers Association, and retiring from Central Bank in Sedalia, MO. Following his retirement in 2011 the family returned to Nevada, MO where he worked at Bowman Title Company, and as manager of Frank E. Peters City Golf Course. He was a member of First Baptist Church in Nevada. He is preceded in death by his mother and father; two brothers, John W. and Gary M. Moore; brothers-in-law, Ken Hawkins, Chester Barrett, and Dan Thomas. Survivors include his wife of 56 years, Linda L. Moore of the home; their daughter, Dr. Robyn S. Moore, Nevada; sisters-in-law, Sandy Thomas, Nevada, Marilyn Hawkins, Wetumpka, AL, and Laura Moore, Knob Noster, MO; several nieces, nephews, and extended family. 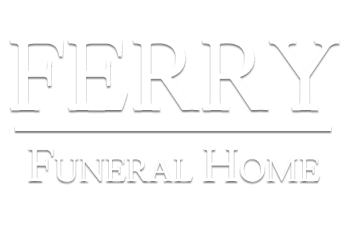 Memorial services will be held at 11:00 a.m. on Thursday, January 24, 2019 at Ferry Funeral Home in Nevada with Dr. Kevin Daugherty officiating. Interment will follow in Newton Burial Park in Nevada. The family will receive friends from 5-7:00 p.m. on Wednesday evening at the funeral home. Memorials can be made to the Ernest and Eugenia Wyatt Guest Home or Avalon Hospice in c/o Ferry Funeral Home in Nevada.